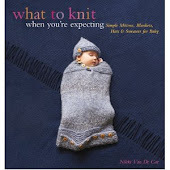 What To Knit When You're Expecting: It's "Had"
Heavens, is Aislin a fast knit. 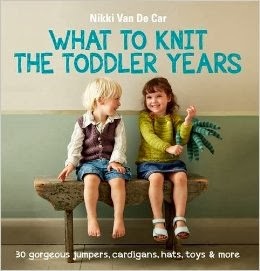 I'm not sure I understand it--I've knit sweaters on size 9s, even size 11s, and I don't remember them speeding along quite this quickly. Definitely not complaining--but to think I was concerned about being able to wear it before Autumn! What is it, forty degrees out today? Jeez. I've been knitting a lot of stripes lately, which isn't normally my thing. When I knit with this yarn the last time around, it pooled into a big chess-board of light green and aqua--which I loved, actually. I like pooling. I'm strange. But the stripes seem to work here. I do like Harmony, but it's very strange yarn. (I don't know much of anything about spinning, so bear with me on the terminology here). 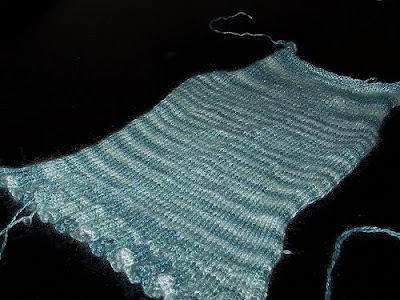 It appears that they mushed together the wool and the silk into one ply, and left the mohair in another, and then loosely plied the two of those together--it looks like two entirely different laceweight yarns lightly twisted together, and then dyed. It produces an interesting effect--the glistening silk still stands out, undiluted by the mohair, and yet it's a very fuzzy (and very sheddy) fabric. I snag on the yarn a lot, though. On an entirely different topic (since I really don't have too much to say about Aislin yet. Flying along! Hope it ends up looking good!) we watched ET with the kids last night, finishing it right before bedtime. Yeah. That was a genius move on our part. Dave and I each had a kid burrowed up against us, sobbing. All reassurances that ET wasn't really dead, that he'd be fine, we promised--well, they believed us, but they couldn't stop crying. But then--hooray! ET really is alive! "ETphonehomeETphonehomeETphonehome!" Bicycles flying across the setting sun, Drew Barrymore is cute, everything is wonderful! Except....dammit. ET is going home. Now we must sob again. And Oh. My. God. The sobbing just wouldn't stop--it was so sad, and so pathetic (in the 18th Century sense, not the 90's middle school sense) that Dave and I were cracking up. These poor kids! What have we done to them? And Toaster was all embarrassed--never mind that I confessed to crying every single time I watch Meet Joe Black (beat that for embarrassment--not only do I cry, I watch it again and again), and Dave admitted to having cried just last weekend at Miss Pettigrew. Which is the least weepy movie ever. We tried to ascertain whether they did like the movie, despite the sobbing, and whether we would ever be forgiven for showing it to them. Between tears and sniffles, RockNoodle explained that they did like it, as it was "Happy and Sad. It's Had." Which made me crack up again. I am a bad dad, showing them E.T. Making them cry like that. It's a burden, you know. Being the bad dad.